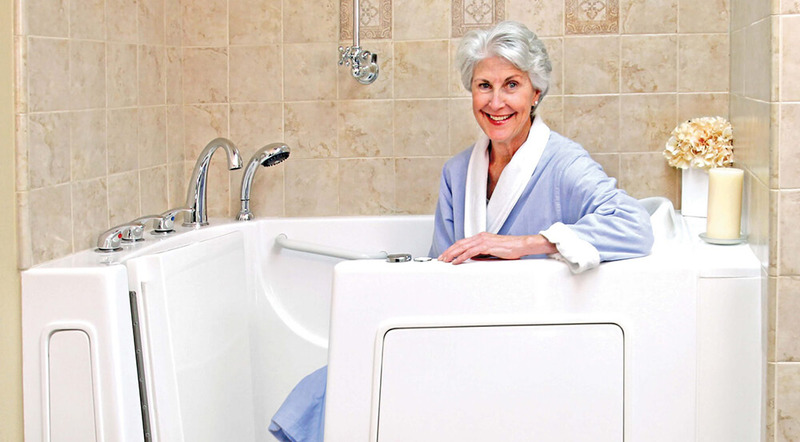 Bliss Tubs Walk-in Bathtubs — Crafted with Care in the U.S.A.
For people with mobility challenges, bathing can become a difficult or even dangerous activity — but it doesn’t have to be. Assembled in our U.S.A. factory with reliable, top-of-the-line components, Bliss Tubs walk-in bathtubs make bathing easier, safer and more therapeutic. Now you can bathe independently, alleviate aches and melt the cares of the world away all in the comfort of your own home with a Bliss Tubs walk-in bath. The low-threshold doors on our walk-in bathtubs are easy to enter and exit and guaranteed not to leak. Specifically designed for safety, our non-slip bathtub floors let you bathe without fear of slipping or falling. Compare All Models. Thousands of years ago, ancient civilizations recognized the therapeutic advantages of hydrotherapy. More recently, walk-in baths have been shown to ease physical pain, reduce stress and even accelerate healing for some conditions. Our tubs come in 14 customizable models, with water and air jets that can be adjusted to meet your therapeutic needs. Compare All Therapy Systems. Whether you want to relieve pain, alleviate stress or just enjoy a spa-like bathing experience, you should be able to do it whenever you want. Now you can with a Bliss Tubs walk-in bath — safely, comfortably and without any assistance. Frequently Asked Questions.